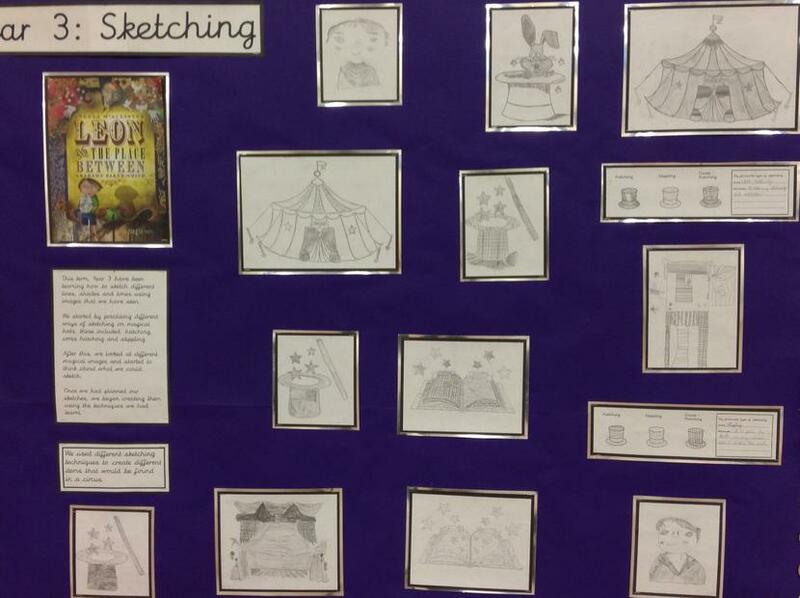 At St Stephen's we recognise the importance of delivering a broad and varied curriculum which allows the children to explore a variety of different media. 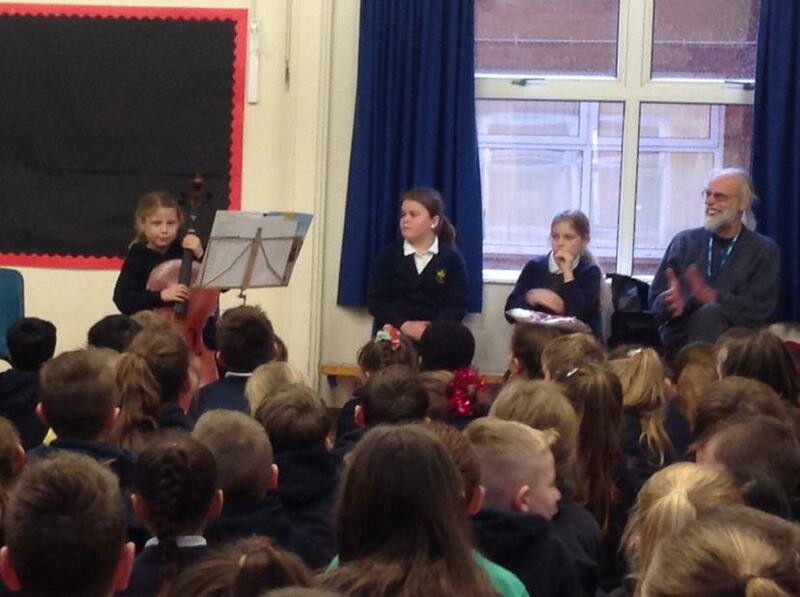 Because of this, we have chosen to run an annual cycle of 'The Arts' which sees a different focus each year. 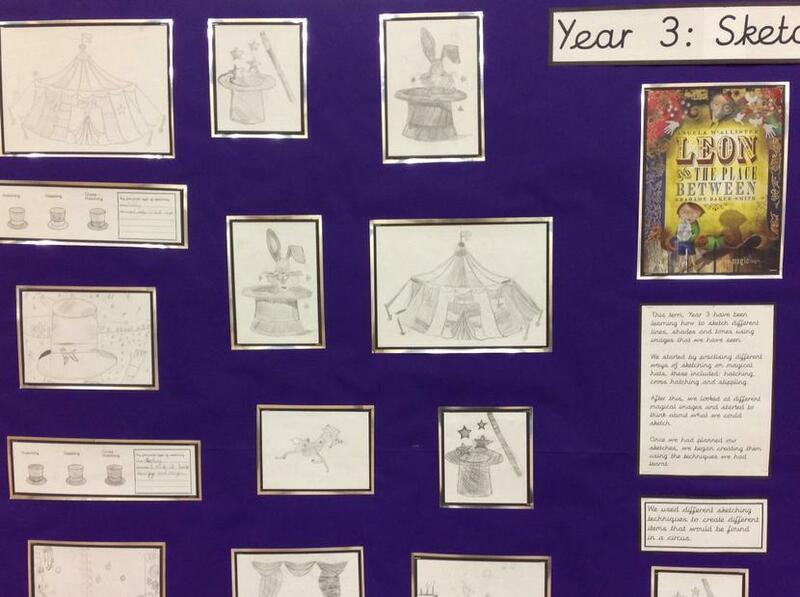 Each year, there will be a clear progression of skills ranging from Year 3 to Year 6 which can be found in the skills progression documents below. 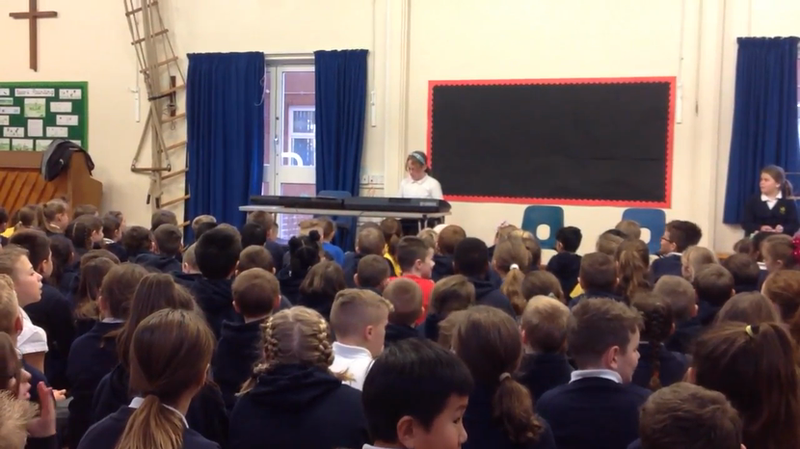 This year, St Stephen's Juniors will be focusing on music as our chosen 'art'. We will learn how to perform, listen to, review and evaluate music across a range of historical periods, genres, styles and traditions, including the works of great composers and musicians. 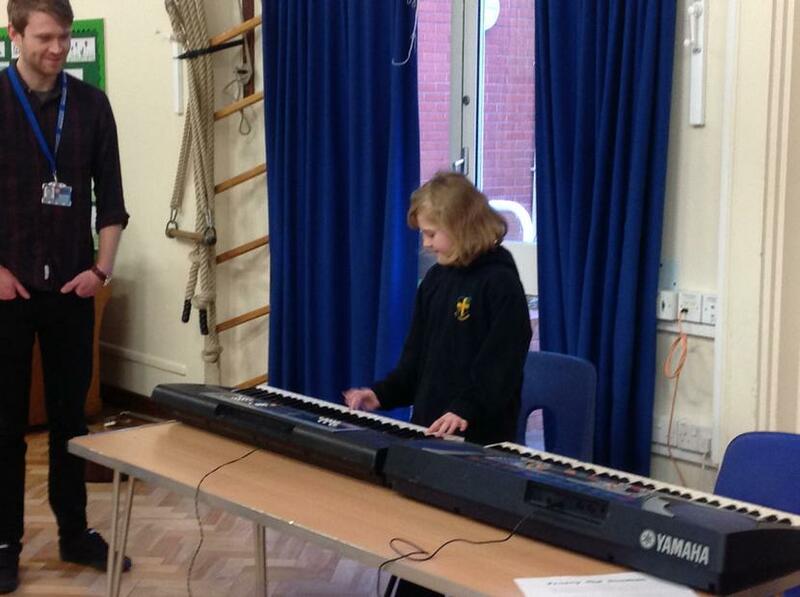 We will also learn to sing and use our voices to create and compose music with the addition of musical instruments. Finally we will understand and explore how music is created, produced and communicated. 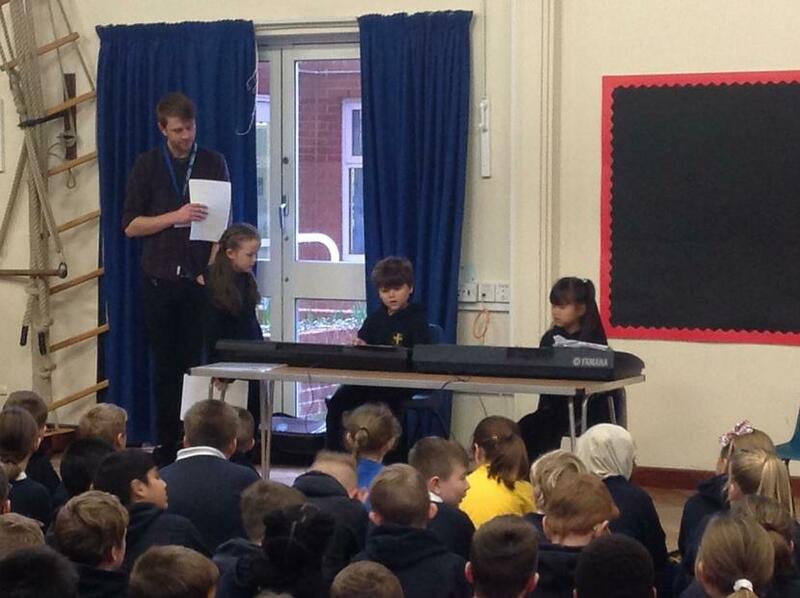 Today we were lucky enough to listen to live music from our very talented students. 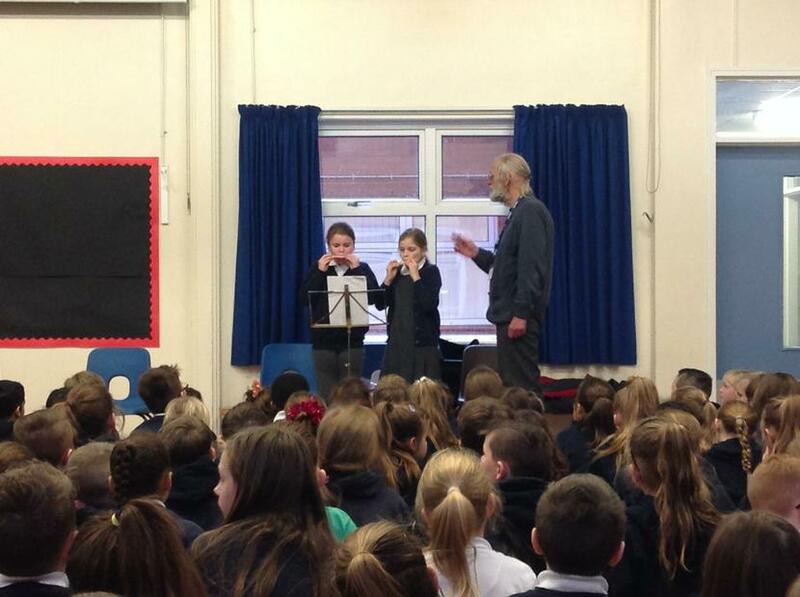 The musicians played an array of instruments from a cello to harmonicas! 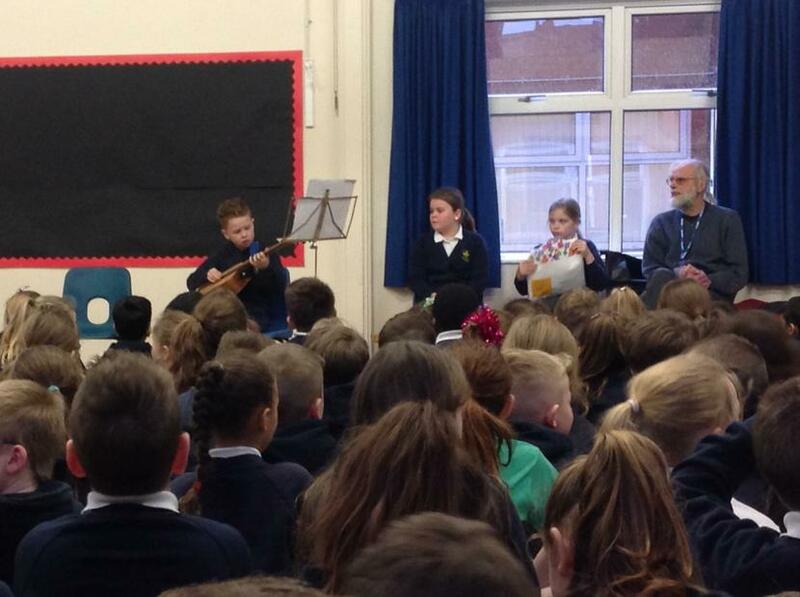 There were lots of comments about how other children are inspired to start learning how to play an instrument now. What a treat! 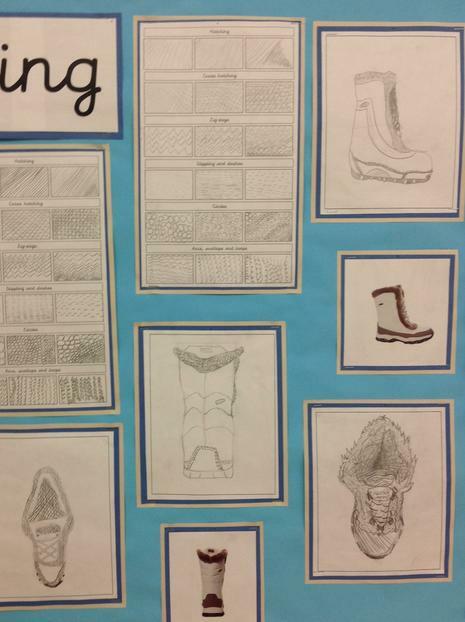 Last year we focused on our art techniques and our design and technology skills. We had a different focus each term and spent a day learning about people who were famous for using a specific skill and how to use that skill before putting it into practice by creating our own art piece. Throughout the day, we used our Purple Learning knowledge; being ready to make mistakes, understanding how to improve and being prepared to give honest but constructive advice to others. 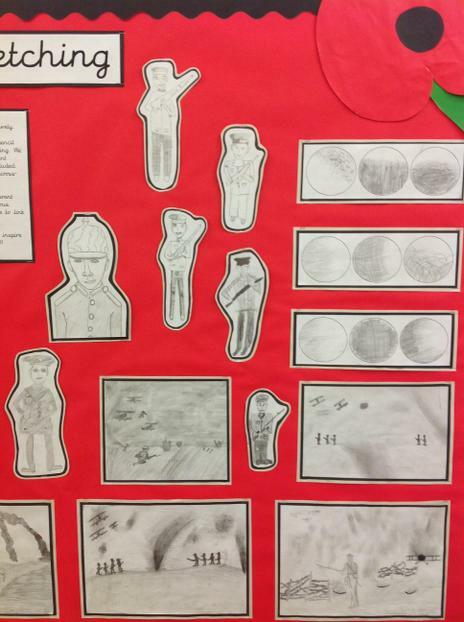 Here are some example of the art we produced. 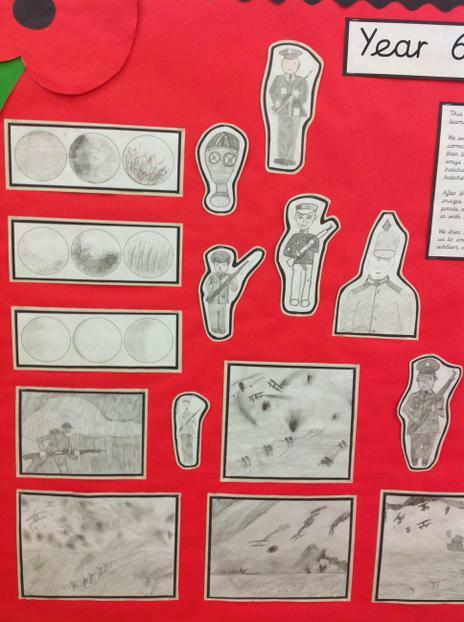 This term we have been working on collage to develop our skills with a range of different media. 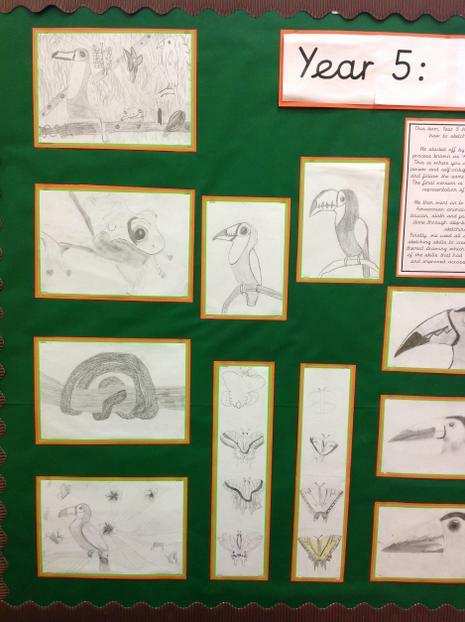 We used a wide range of materials from paper to leaves and created fantastic, unique pieces of work. 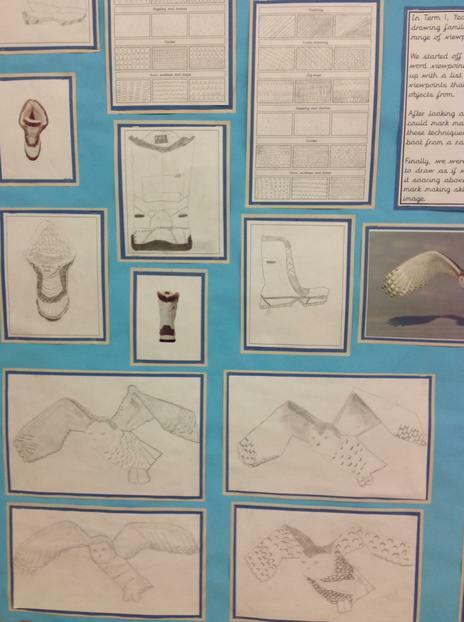 We love the wonderful visual and tactile elements that collage allows us to create and we hope you agree. 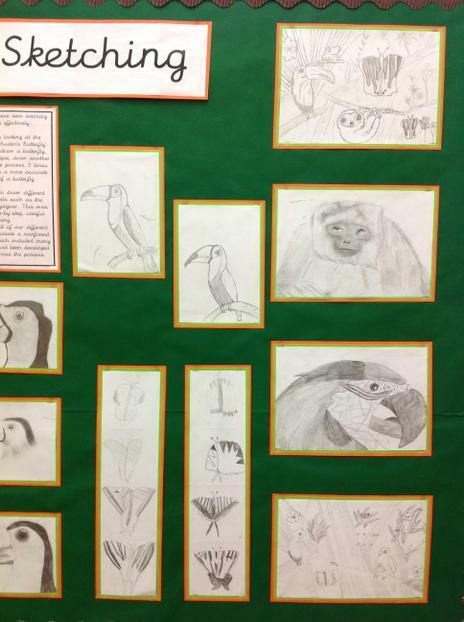 As you can see from the displays, we have some fantastic artists in our school. Our focus for Term 2 was painting in which we developed our understanding of tones, shading, brush strokes and and composition. 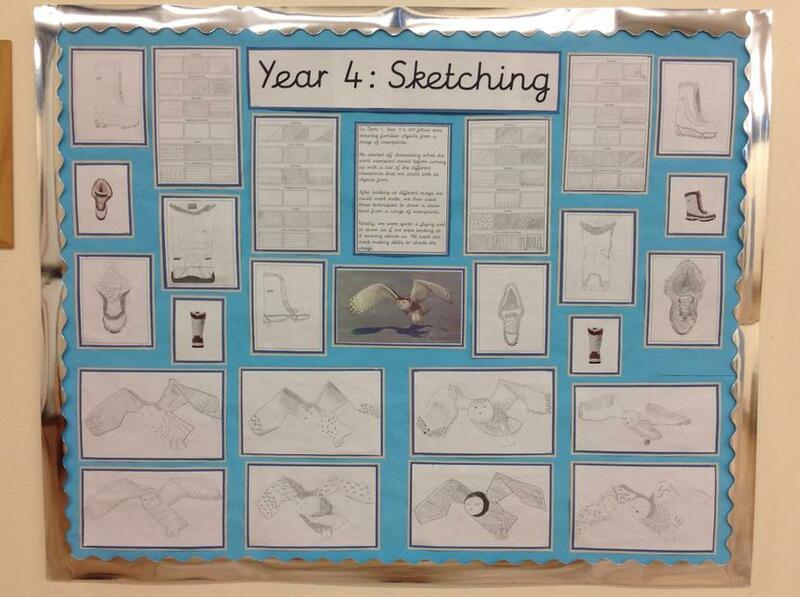 We followed our try it, use it, prove it approach to improve our skills and create some wonderful artwork. We hope you like them! 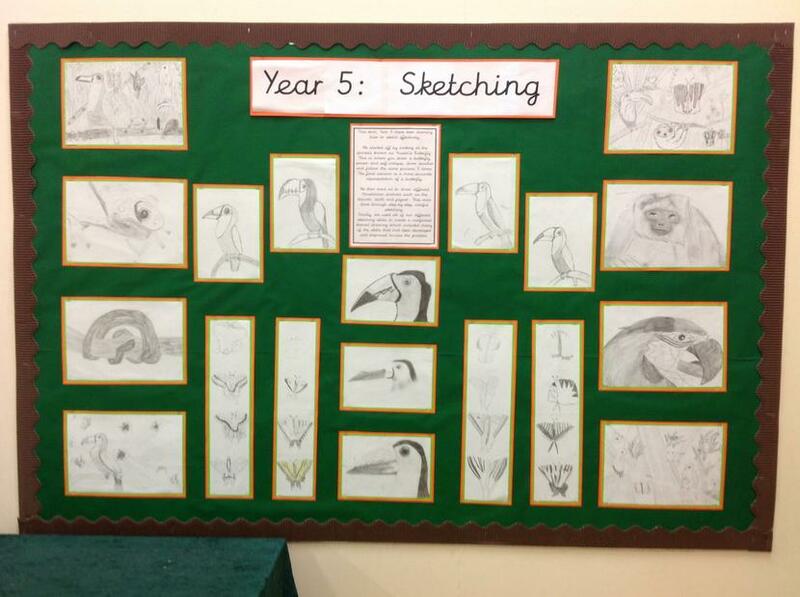 During this first term, all year groups focused on improving our observation and sketching skills whilst immersing ourselves in our topics. 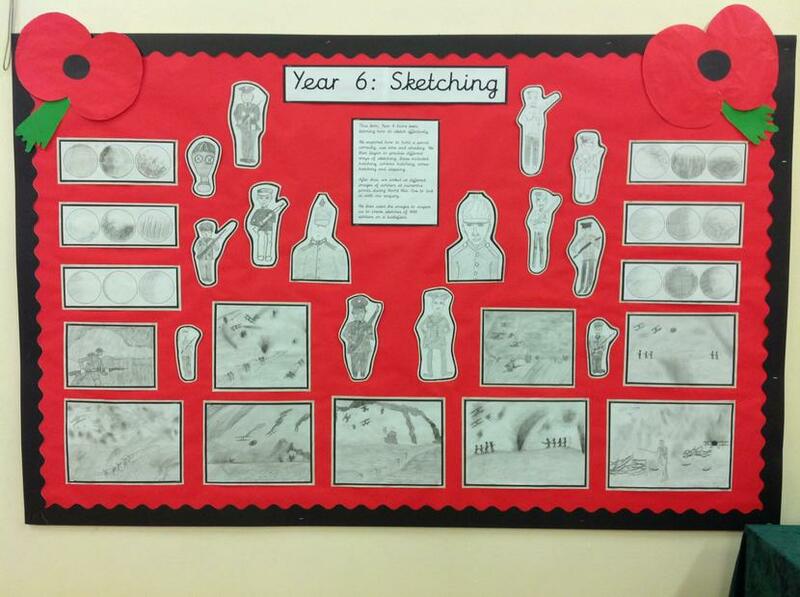 We practised the art of mark making to develop our skills which we then used in our final pictures. 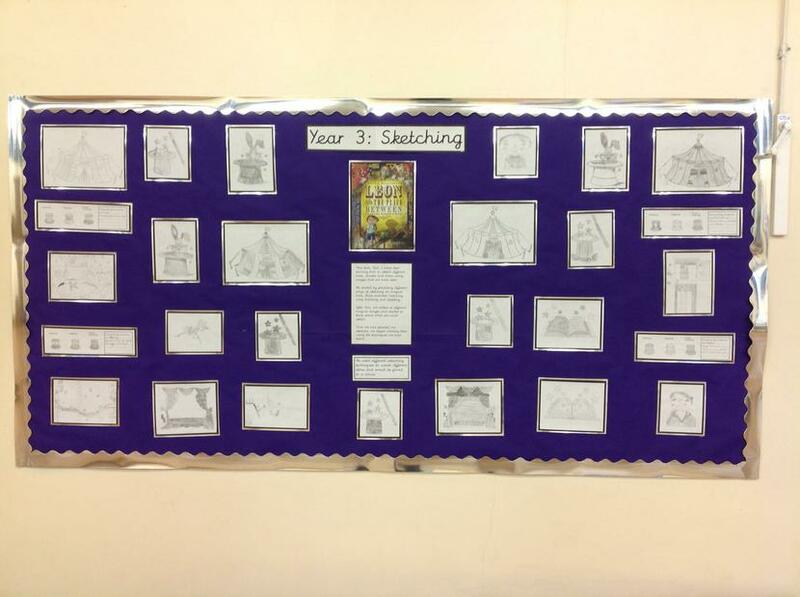 As you can see from our displays, we are working tremendously hard to produce high quality artwork!